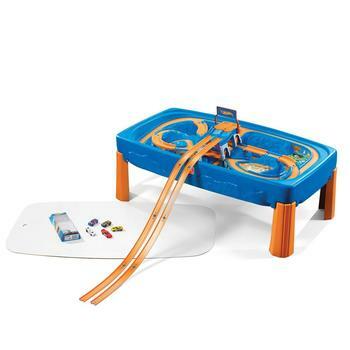 Bring your Hot Wheels play into the third dimension with the Step2 Hot Wheels Car Track & Play Table! 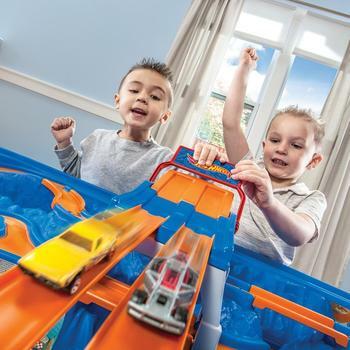 The molded-in track and non-removable bridges keep this multi-layered track in place while the little ones race their favourite cars around it! 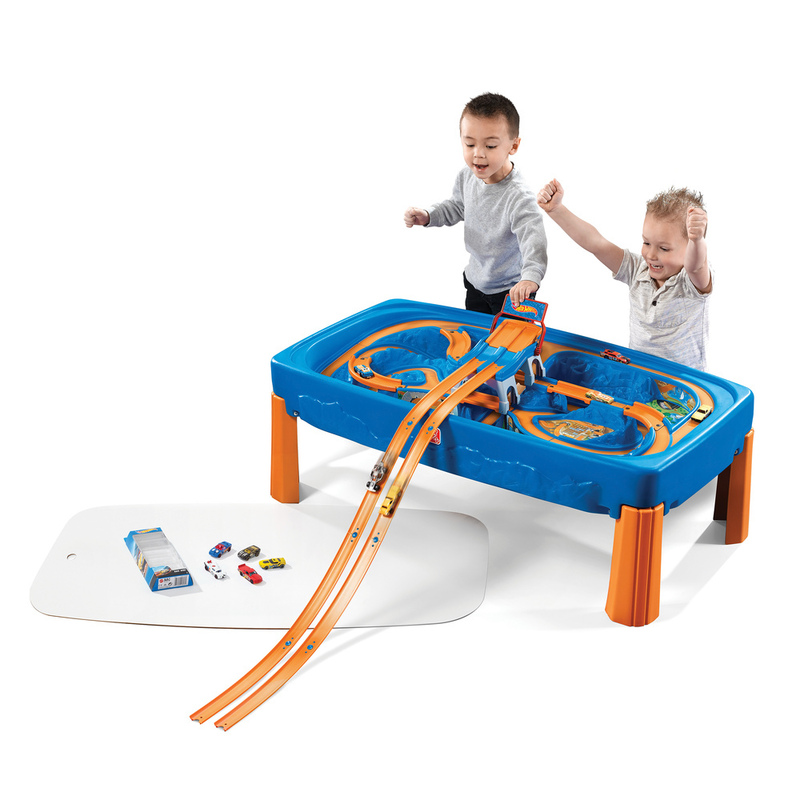 The raised table height allows kids to play comfortably, and also provides an extra boost to the Hot Wheels themed launch pad, where kids can hold their own drag races! 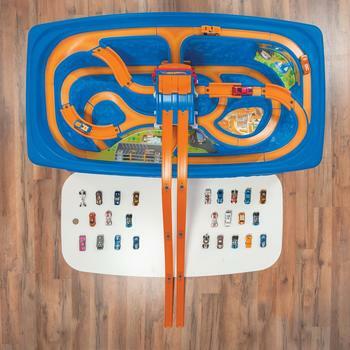 The table even comes with an additional 6 feet of Hot Wheels race track, and 5 assorted Hot Wheels cars! 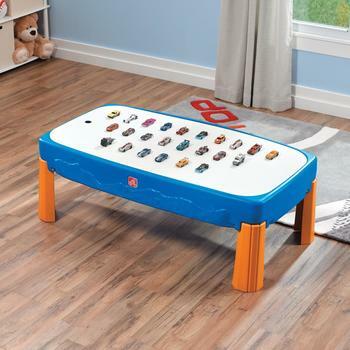 Table was a big hit with my 3 and 5 year olds and gets played with on a daily basis. 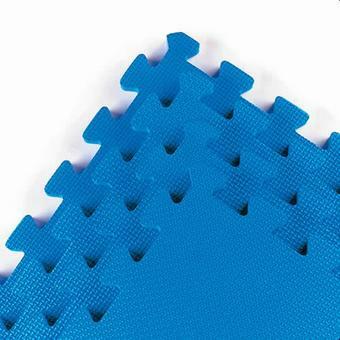 It also has nice soft plastic edges and corners so safe for a toddler to be hanging on to and walking round too. Would be five stars but you are doing a lot of the assembly work yourself - legs don't take long to screw on but allow an evening to put all the stickers on yourself carefully (you get the blue plastic molding and have to put on all the stickers/bridges etc.). 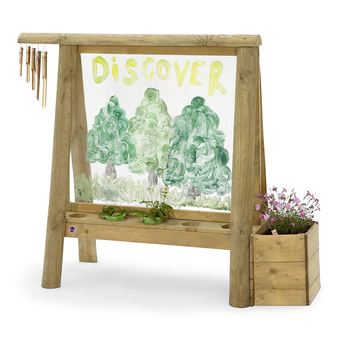 Easy to assemble,very sturdy and also good for marbles etc. 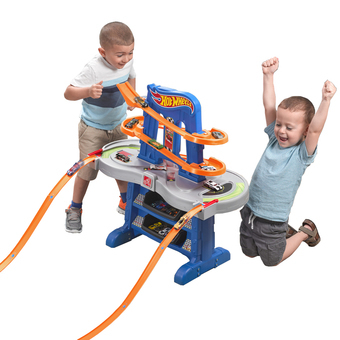 Need to know something about the Step2 Hot Wheels Car & Track Play Table? 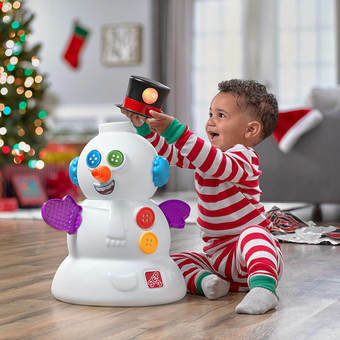 Leave your details and your question below and we'll email you the answer soon, as well as publishing the answer for future customers in the Questions section!